Discussion in 'General chat and banter' started by storm shadow, Mar 23, 2015. Last year i blew my mobo or processor, and i have been working on a laptop for one year. I finally had the time to get new parts. And since my very awsome boss pays, i got some pretty decent part. i Bought a silent fan since the corsair hudro series is know to be a bid laudy. I hope i have time next weekend to assemply the new PC. but pc is working like a charm now. I bought a second graphic card. I was looking at a site like amazon and one dude hade exactlly the same as my old one. The old card is still as fast as the new models(almost)just that it aint sold no more. got it for 100 $ not sure if the dude knew how much he could sell it for. I never had set up crossfire before, but first boot i had a blue screen of death. I switched HDMI cabels to new card and havent had a problem since. nice, a card I got from an amazon seller might have been fake. 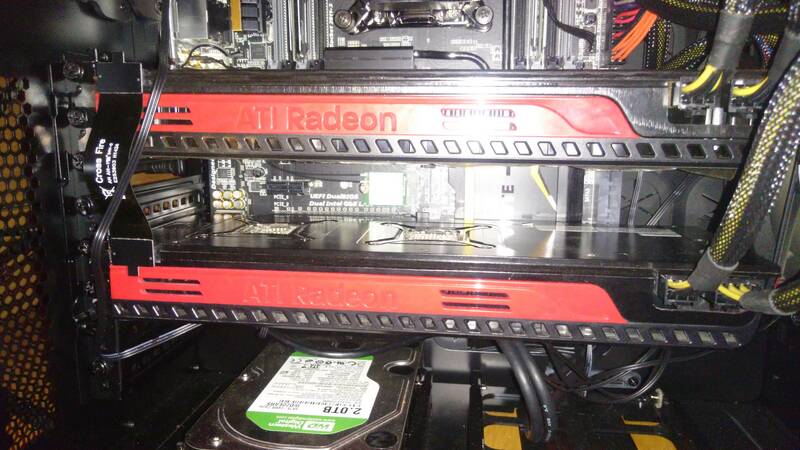 After I had problems with it, I found pictures of it labeled as a fake nvidia. I never used crossfire either. IIRC, you had one of your other pc's hooked up to something in your kitchen, can't remember what. Noctua NT-H1 Kjølepasta <- pasta cooker?